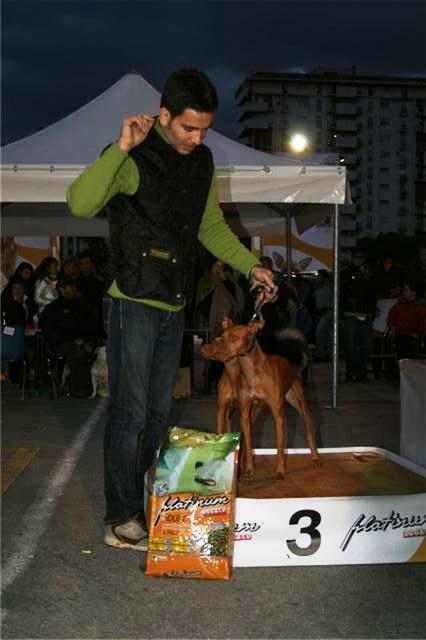 Another important exhibition for Cirneco dell’Etna in Sicily, is the 57th International dog show of Palermo, the judge is the bred specialist, dr. Antonino La Barbera and in catalog there are 20 subjects. Our main objective is the result for Mariolà, who deservedly comes 1° Excellent in young class and became JUNIOR ITALIAN CHAMPION ...! 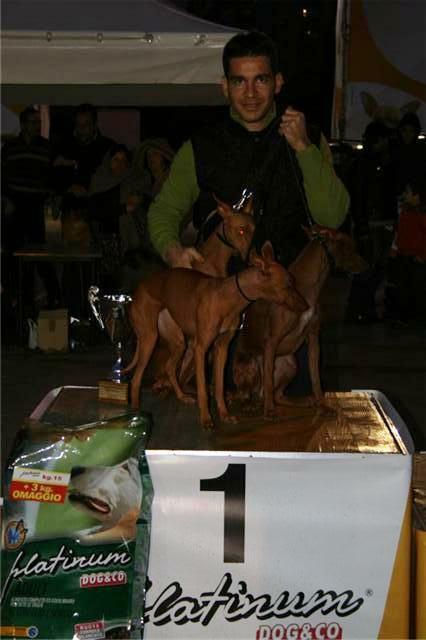 The Show dog is fine, Fiorino Cacib e BOB and Gemma CACIB BOS! As for Messina and Reggio Calabria also this show confirms the quality of our dogs and this makes us proud of the work that we are doing. Again in the honor’s ring we have a great satisfaction and we do the best group of the show and the 3° best couple!